A good day at the range can turn into an awesome day at the range with a little preparation. Packing the essentials, a few extras and having a plan will help you make the most of your time. Good preparation requires a solid organizational effort. But if you’re like us, you may find that your range bag can become cluttered and unorganized. Start each new season by cleaning out your bag. Take everything out and put back only what’s necessary – in an organized manner. And if you don’t yet have a bag, find one that works for you and all of your equipment. There are a lot of options when it comes to range bags. We suggest getting one with several compartments to keep your range items organized. Some shooters prefer one large bag, many like the new backpack style, still others want multiple smaller bags – either way, you will need plenty of room. Make sure you have ear protection. You may want to also throw in a spare set in case you misplace one, or a friend needs to borrow a pair. Basic ear plugs or earmuffs do the job, but high-quality electronic headsets are a worthwhile investment for both safety and convenience. They amplify voices (safe noise levels), compress harmful noise levels – and you don’t have to remove your earmuffs to hear someone speak or have a conversation. Backup batteries are a must with electronic headsets. You can’t shoot your gun if you forget the magazines. Many shooting bags have very specific compartments that hold each magazine individually. How’s that for organization? Toss in a portable cleaning kit designed for your firearm, along with any other maintenance tools you might find handy. You don’t need anything elaborate – just enough to make sure your gun and magazines stays in good working condition. You can probably fit a decent amount of ammunition in your magazines and range bag, but if you’re planning on an extended training session, an ammo can (or two) is a nice add. Plus they are a great way to store ammo at home. Grab a few of the new, polymer-style varieties or military surplus steel cans. Depending on the condition and size, military surplus options can be a great deal at around $15-$20 each. If you’ve got a double-belt system like the Safariland ELS rig, you won’t have to take the peripherals on and off every time, but, it probably won’t fit in your bag. You have a lot of options here and most ranges sell targets. The type, shape, color, imprint and material of targets is more than plentiful. Whether you’re going with a traditional bullseye, a paper silhouette, a Shoot-N-C, a whitetail deer target or cardboard competition targets, make sure to bring tape. 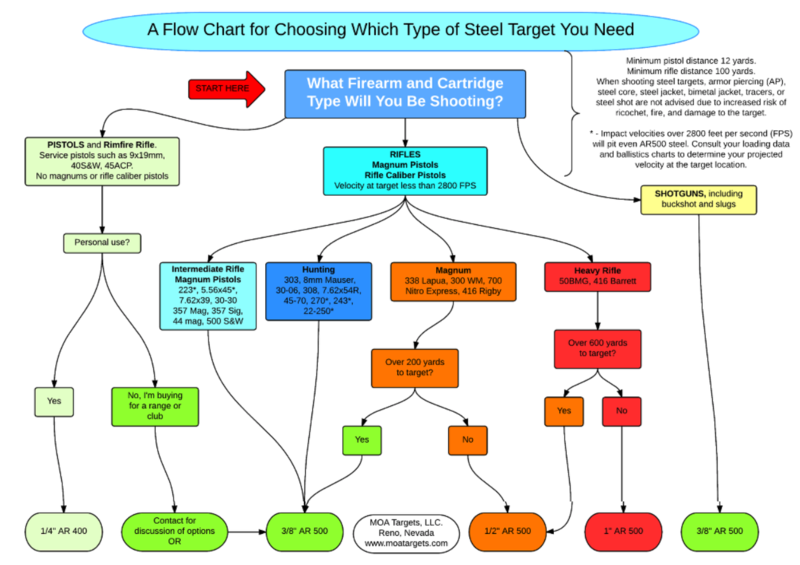 If you’re fortunate enough to be on your own land – and want to set up permanent steel targets, ⅜-inch thick AR500 steel will stop most common centerfire calibers at 100 yards and further. Shot timers are a great tool for training. You can test your skills under the pressure of the clock down to the hundredth of a second. Timers relay valuable information to the shooter: First shot time, target split times, target acquisition times and the overall time of the drill. Once you are a safe, proficient and accurate shooter, speed is the next part of the equation. The timer is one of the best ways to track your progress in this area of skill development. Speed, as you know, is critical in self defense situations and a very important aspect of competition shooting. There are a variety of timers on the market. You can buy an old-school, time-tested, battery operated, handheld style (like PACT or Competition Electronics), or download a shot timer or dry fire app on your smartphone. Practice makes perfect – and it’s a lot easier and much more beneficial if you keep a practice log. Make the best use of your time and ammo by having a plan before you hit the range. If you’re old school, a physical paper training book / log works fine. Put it in your range bag. More of a smart phone junkie? Try the RangeLog app. Need some drill ideas? 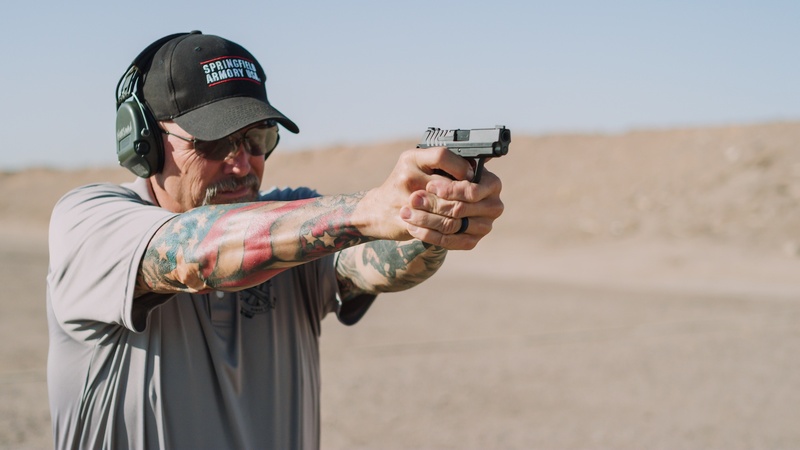 Check out this YouTube playlist for easy (and effective) range drills. You can also get some cool drill ideas from InstructorZero and Mike Seeklander of ShootingPerformance. Plan for the best, prepare for the worst – A small first aid and trauma kit should be a part of everyone’s range bag. Hopefully you will never need the plastic gloves and quick clotting agent, but sterile wipes and bandaids are more likely to occasionally come in handy. No range day checklist would be complete without this tip from Captain Obvious … leave your guns behind, and you won’t be doing much shooting! Make certain that you know the range rules regarding gun condition too – many ranges expect you to arrive with your guns unloaded. Throwback Thursday: Training Versus Reality—How Does Your Training Rate?